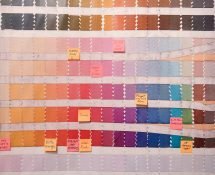 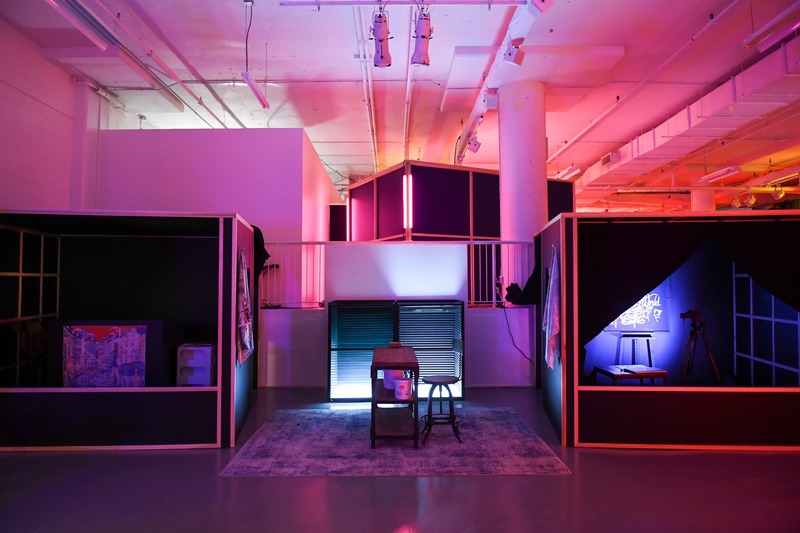 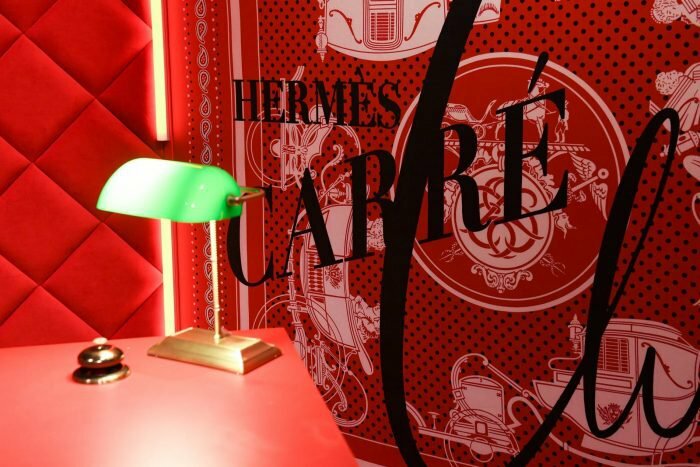 The exhibit launches in New York before traveling to Toronto, Singapore, Los Angeles and Milan, and will feature six interactive modules that reinterpret the Carré in different ways. 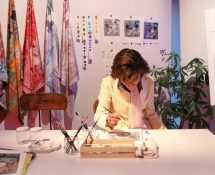 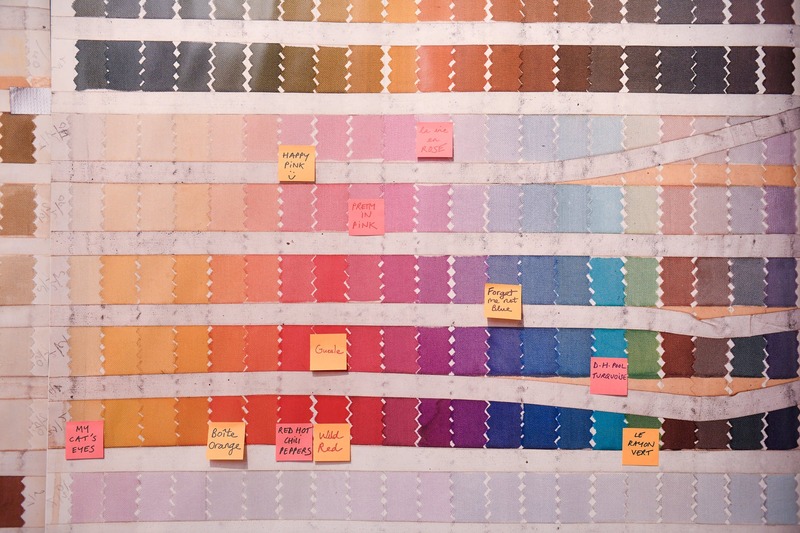 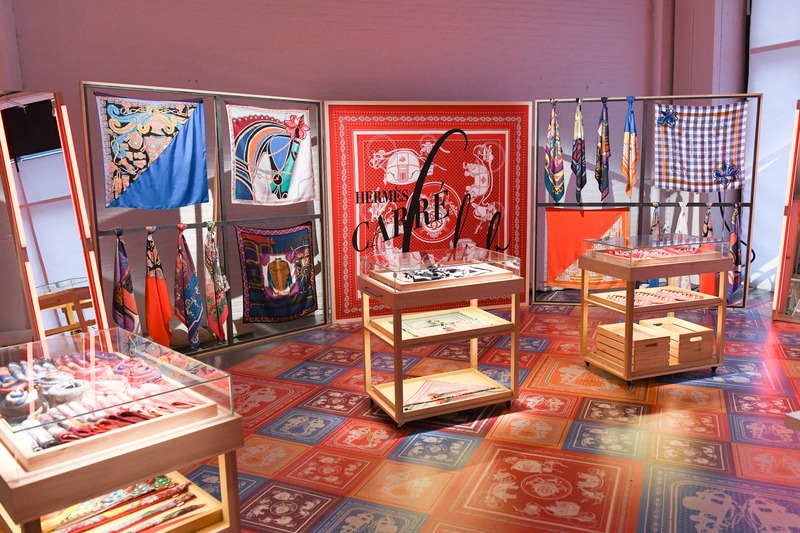 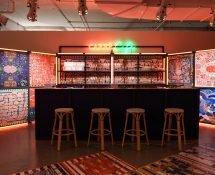 In honor of their iconic square silk scarves, Hermès is launching a pop-up showcase, Hermès Carré Club, in New York. 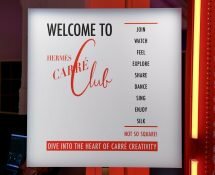 Guests will start at the Carré Click and Check, where they check in and receive a membership card and sit for a portrait that they get to keep. 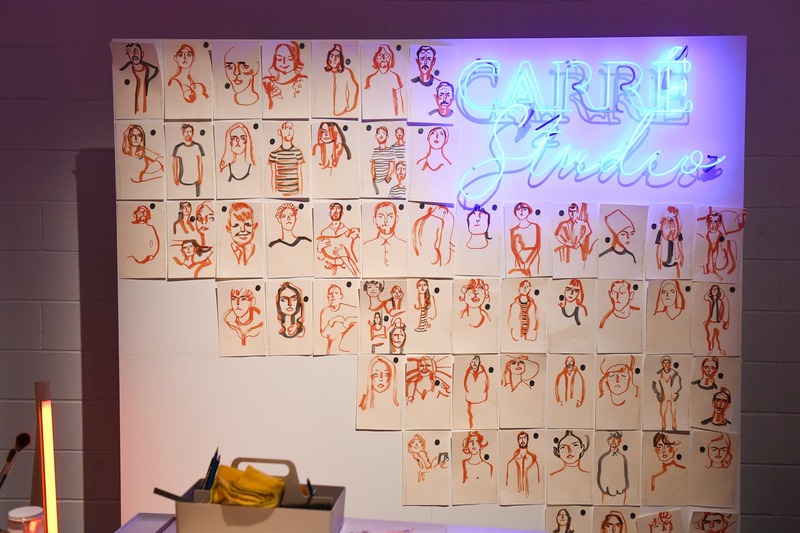 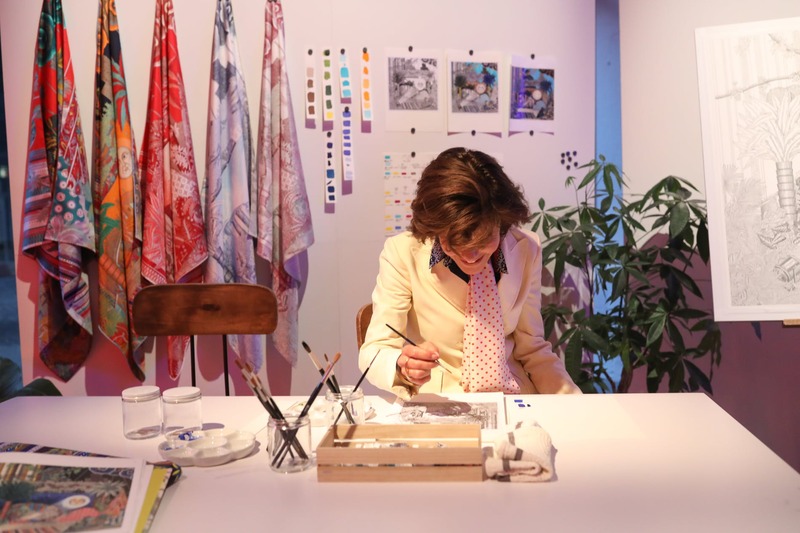 Then it’s on to the Carré Studio, where artists and designers demonstrate their work live. 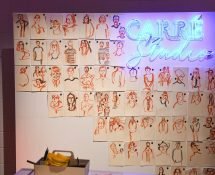 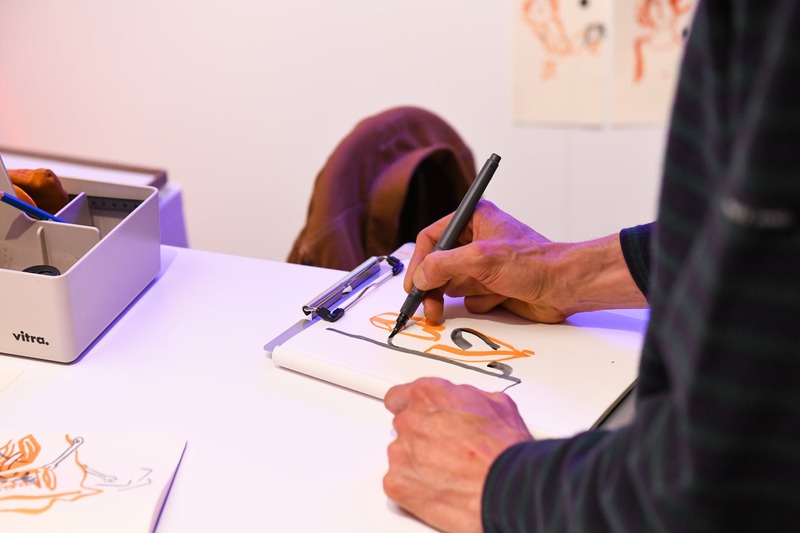 Guests can pose for a sketch by Cyrille Diatkine, get a coloring done by artist Edouard Baribeaud, watch illustrations by Virginie Jamin, or listen to Alice Shirley share her creative process. 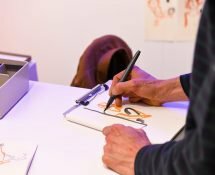 Artists Octave Marsal and Théo de Gueltzl will perform live sessions, demonstrating their “drawing machine” that they built and use throughout their practice. 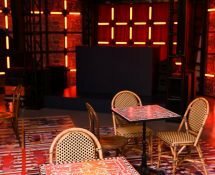 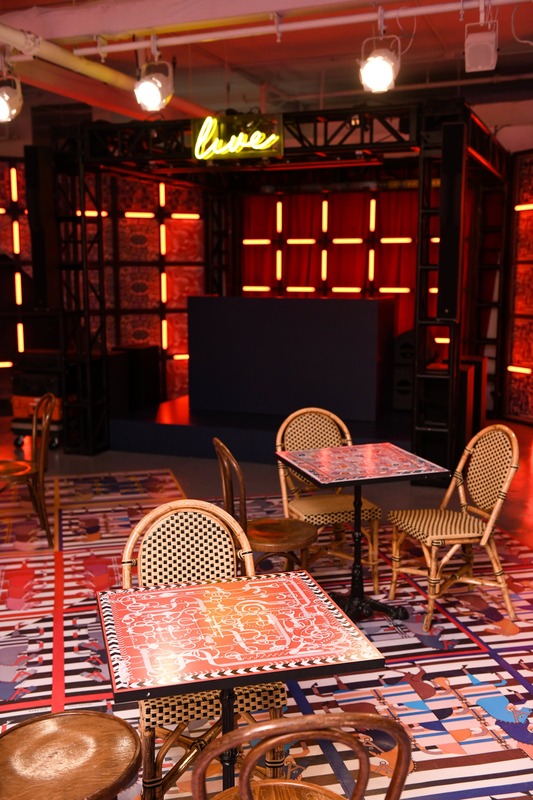 Next is the Carré Café, where guests can enjoy a club sandwich and coffee with live music. 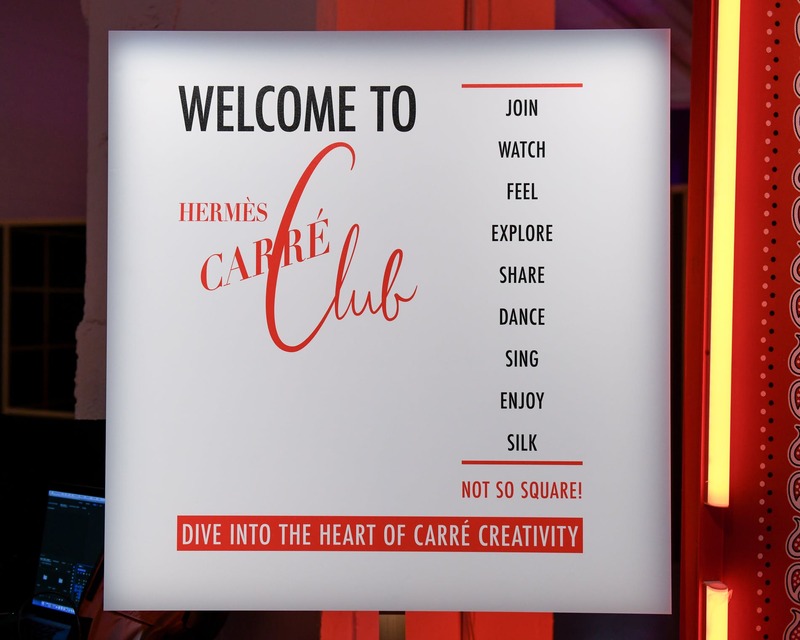 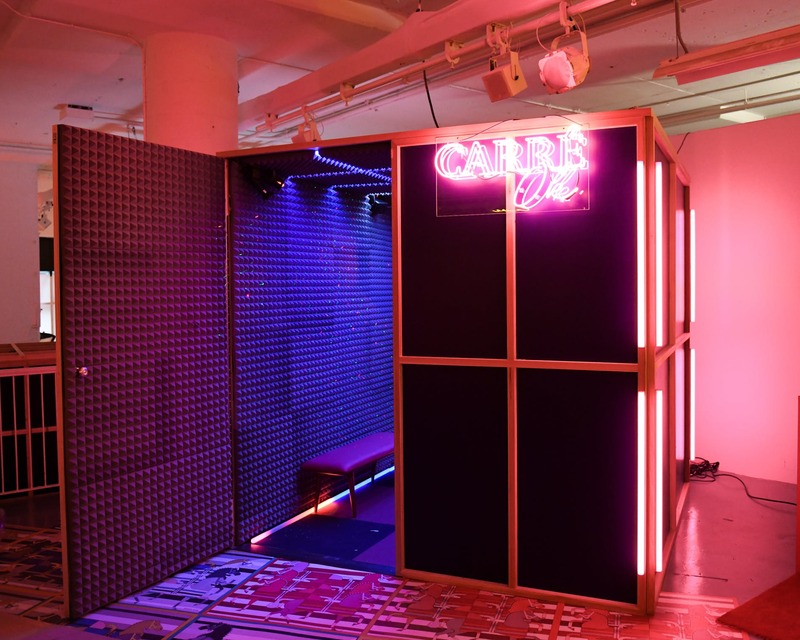 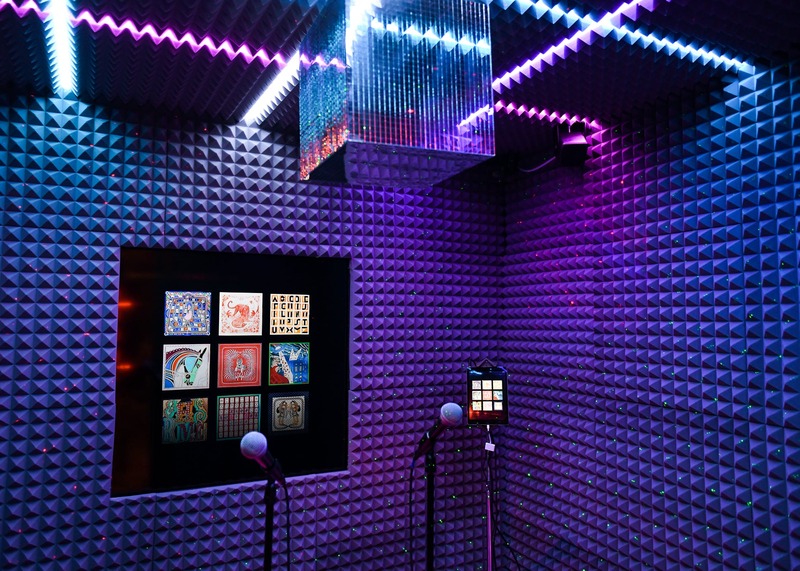 Carré Stories, the next module, has telephone booths for guests to listen to spoken texts about the history, secrets, and stories behind the brand. 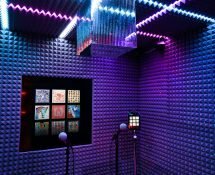 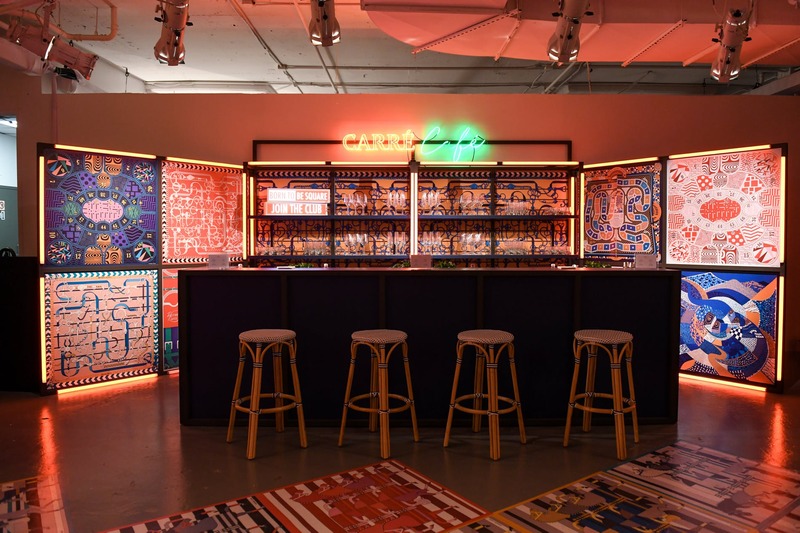 Carré-OK, the adorable play on words, is a place to “belt out tunes inspired by silk scores.” Finally, Carrémania is a boutique featuring a capsule collection of limited-edition scarves that are only available at this pop-up boutique.